Chrome plated ABS mounting bracket with translucent polyethylene soap container. 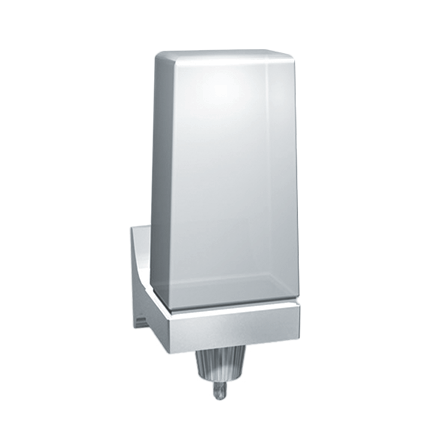 Corrosion resistant ABS valve with stainless steel spring dispenses soaps, detergents or thin lotions. Capacity of 24 oz (0.71 L).